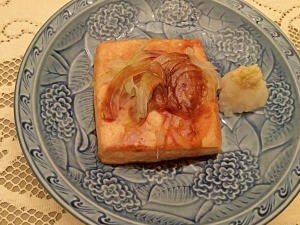 Flavor bland and boring tofu with soy sauce, onion, ginger and daikon radish for a savory meatless dish. 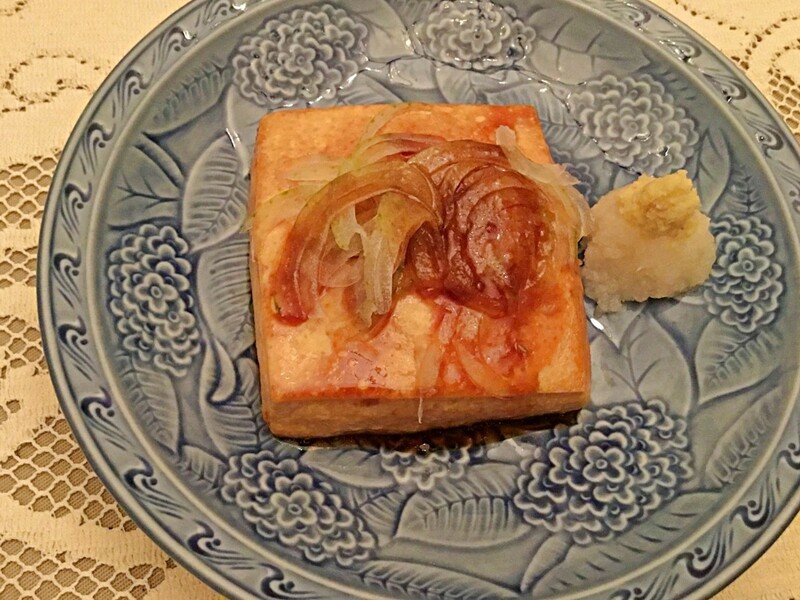 This guide has instructions for making Japanese glazed tofu steak. This tofu steak is so good, it will have you forgetting about meat. 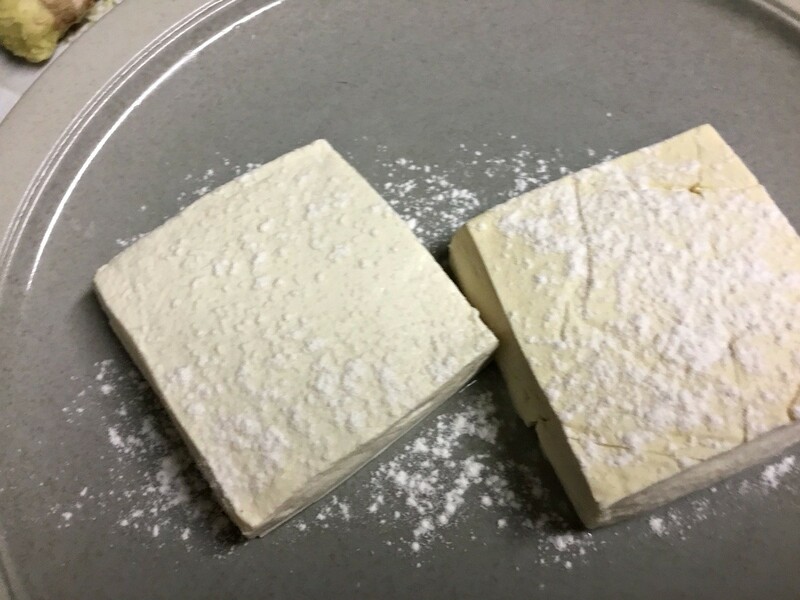 I'll share a couple tofu techniques with you to make sure you never have bland and squishy tofu again. 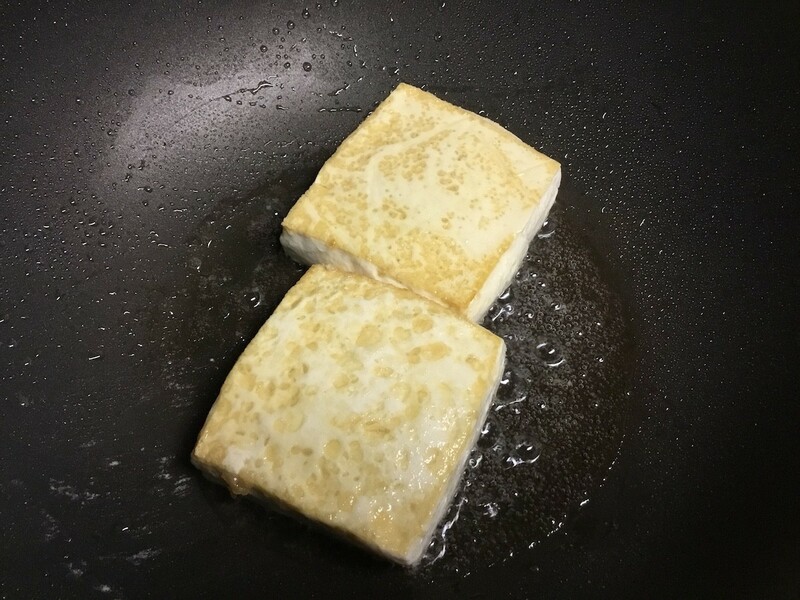 I hope you will love this delicious tofu steak as much as I do! 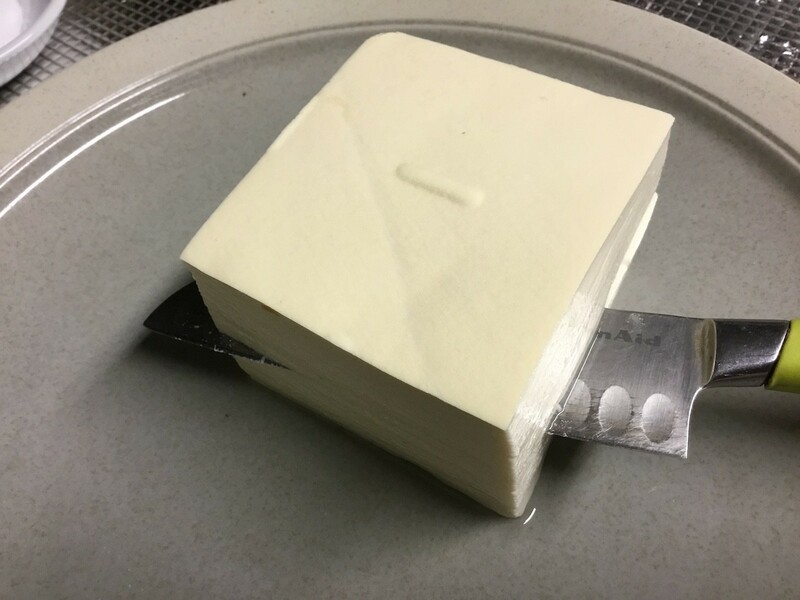 Slice the tofu block in half so you have 2 large thinner pieces. 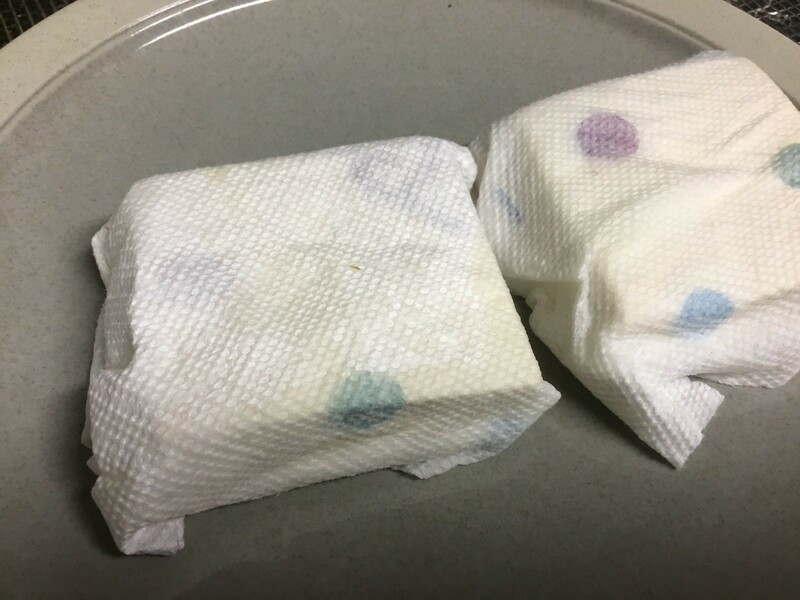 Wrap each tofu piece in a paper towel. 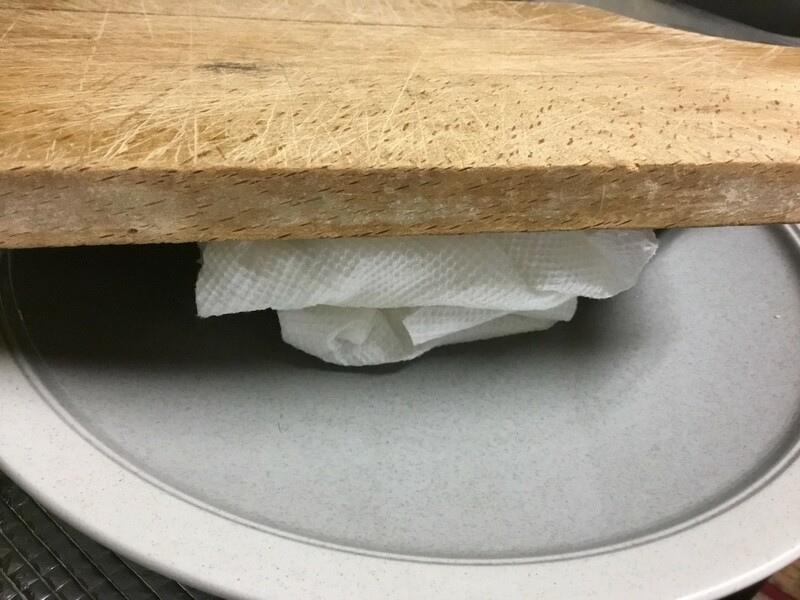 Use a flat board or large plate to press down on the wrapped tofu to expel their water. Alternatively, you can also place the wrapped tofu pieces in the microwave for 3 minutes on high. Let them sit a minute as they will be steamy. Sprinkle some flour on the tops and bottoms of the tofu pieces. Heat some oil in a large pan over medium heat. Add tofu and cook for 5 minutes. Flip over and cook another 5 minutes. 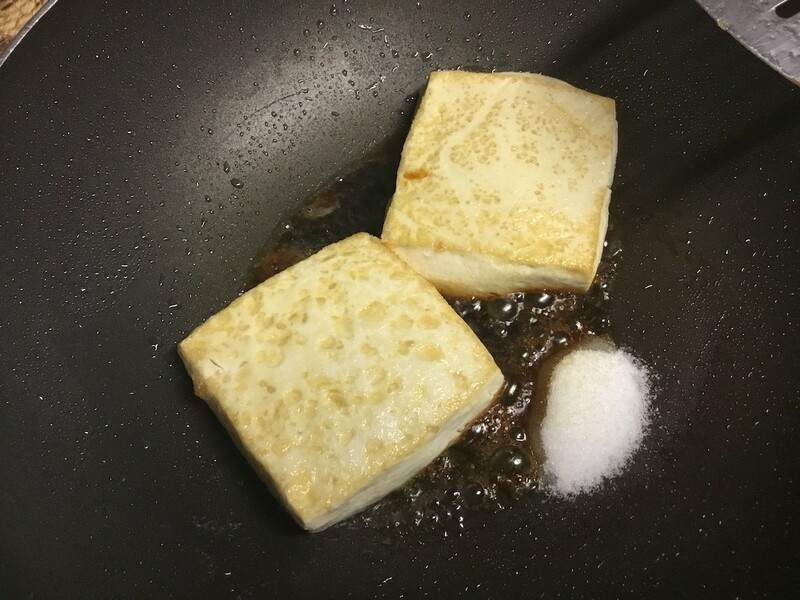 When tofu pieces are browned, add soy sauce and sugar to the pan. Allow to melt. 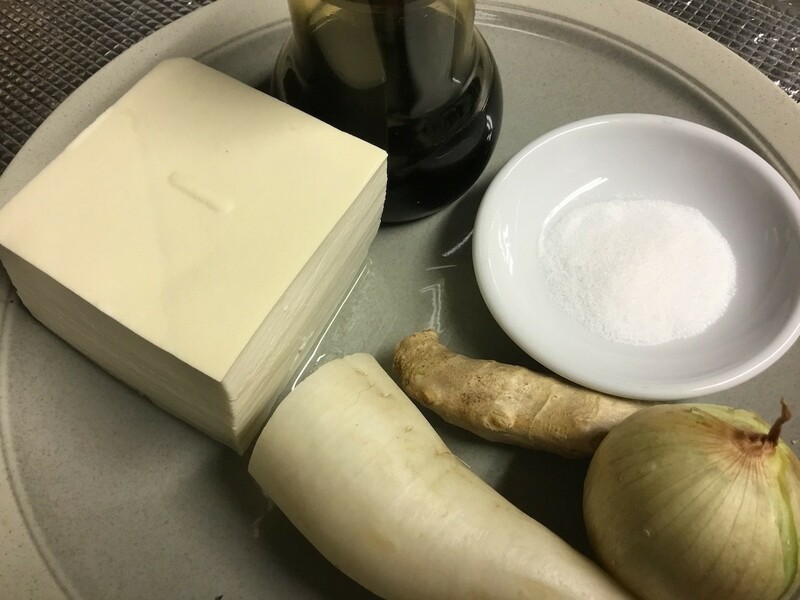 Place tofu steaks on serving plates, top with sliced onions, the drizzle with the pan sauce. 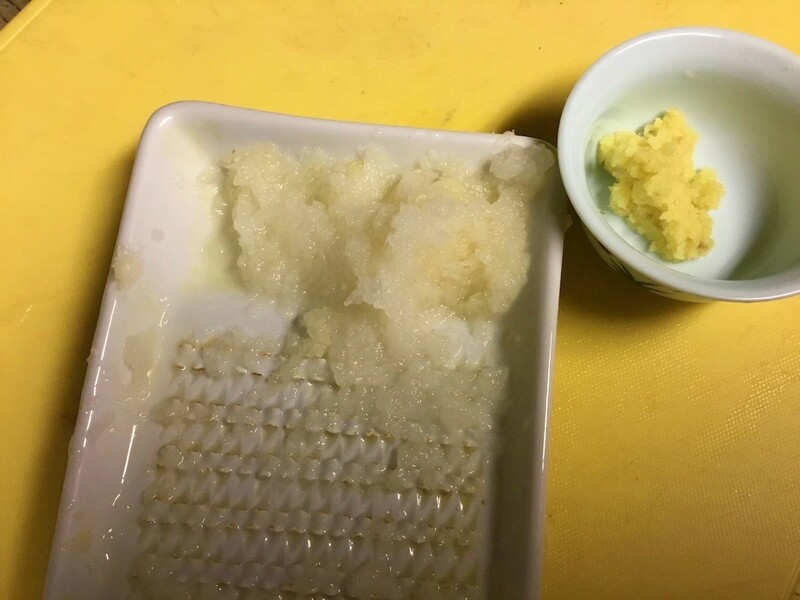 Grate the daikon and ginger and serve alongside.